A lot comes with aging, especially when it comes to beauty - both inside and out. We do all we can to fight the signs of aging on the outside. For instance, we spend a lot of money on fancy creams and treatments and brush up on makeup tricks to hide and conceal our fine lines and wrinkles. But what about the inside? In a recent consumer survey nearly 3 out of 4 women (73%) said they believe that feeling their age would be worse than looking their age. I can say that fact holds true. There are times when getting out of bed is harder than others and things like yard work are tougher on the body than they use to be. I have made a change in the last year or so and I take supplements, more of preventative in nature, to help me feel my best. When you don't feel your best, you just can't look your best no matter how hard you try. And that's where this new campaign comes in that I wanted to share with you called Beauty is Bone Deep. You see, Bayer HealthCare, the makers of calcium supplement brand Citracal, is partnering with beauty icon and author, Dayle Haddon for the Beauty is Bone Deep campaign to encourage women to focus on inner strength (physical and emotional) as the foundation of beauty. So smart, right? They are asking women to consider adding Citracal to their daily age-defying health and beauty routine to support bone health. Citracal is one of the daily supplements that I take and I highly recommend it! My doctor actually recommended that I take Citracal Plus Magnesium as I was low on Magnesium after being sick and I was at a point in my life where a calcium supplement was important and I haven't stopped taking it. Visit BeautyIsBoneDeep.com to learn more about the campaign, taking Citracal and the importance of bone health as you age. You can also enter for a chance to win an age-defying makeover in NYC with Dayle or one of ten prize packs. I had a chance to interview Dayle Haddon and of course I wanted to know about her favorite beauty products and some of her beauty secrets and advice. Teri: What are your favorite beauty products? Dayle: A thick, rich moisturizer, sunscreen, and a meditation mask. I like natural brands like Alba because I don’t want a lot of chemicals going in my skin. Generally, I use a pretty good mix of high- and low-end products, and I really like to switch it up frequently. Teri: Can you describe your anti-aging routine? Dayle: When people think of anti-aging, they generally only think of the outside, but it is equally important to take care of the inside. I know I feel my best when I am eating vegetables, light fruits, and juices, so I try to do so often. I also get regular checkups with my doctor so that I always know what’s going on with my body. A few years ago, a bone density scan revealed that my wrist and hip levels were much lower than recommended, and that scared me. So I started taking Citracal’s (very yummy!) gummy supplements. I’m happy to say that I am 65 and osteoporosis-free, and I feel great. Teri: Do you have a beauty secret that you can share with us? 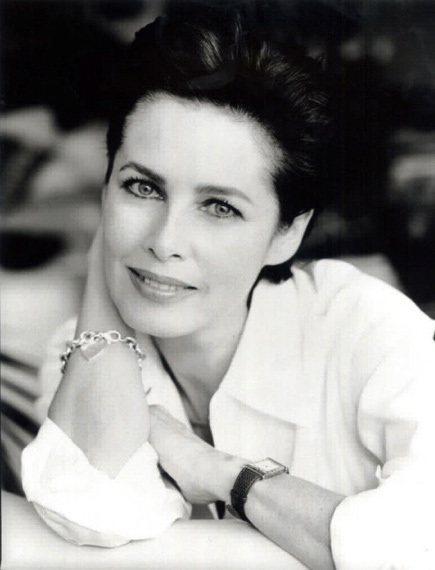 Dayle: I am very careful about the sun especially at certain hours of the day—I cover up with a hat, gloves and sunblock. I moisturize a lot because my skin is dry. I also do skin scrubs because that makes you feel really revitalized. There are a lot of things that you can do with the outside, but I believe in turning within—meditating, watching your breath, and being in nature really helps. And the ability to give back makes you feel worthwhile; it makes you feel like you have a role. Those things that give you inner beauty truly reflect on the outside, especially as we age. Teri: What do you do to feel beautiful/confident as you get older? Dayle: First, you have to come to terms with it. As we get older, we should be developing a philosophy about life and honing in on where the value is. If the value is having no wrinkles, you are going to lose! So you have to develop a philosophy and realize that if the beauty industry says that women in their late 30’s were finished, there is something wrong with the industry. Beauty is something that grows with you, so I always ask myself what would make me beautiful, aside from what I can do on the outside? It’s about developing me and expanding my ability to be happy. I go over a gratitude list at least once a day and put things in proportion. You’re not going to remember the small things, like the guy who cut in front of you in line, but you will remember the great loves of your life. You are what you are thinking about, so if you are feeding insecure thoughts all the time, it is going to show up on your face. Teri: What one thing do you know now that you wish you could have told your 20 year old self? Dayle: Go for it! Nobody remembers when you fail—they only remember when you win. So don’t worry about it; failing is part of the process and it can be a great thing. Some of my best lessons came from failing. When my husband passed away, I gained more from that in a way because I think that the greater the challenge, the greater the growth. If you apply yourself, you will only become more. I do think that challenges are there not to bother you, but to make you more than you are. We always have to raise the bar for ourselves, which we do through challenges. A fun fact about Dayle; she and I share the same birthday, May 26th.